The Signature MGM Residences in Las Vegas real estate second 40-story tower of the condominium-hotel at The Residences at MGM Grand will be completed at the end of this month. The Las Vegas luxury condo’s first tower debuted in June. The Signature Residences in Las Vegas, a joint venture between MGM Mirage and Turnberry, Ltd., was the first Las Vegas condo-hotel for sale overlooking the Strip to open in Las Vegas. The third and final tower, The Signature Residences Tower C, will top off later this month with a completion date set for mid-2007. Less than 100 fully furnished junior, one and two-bedroom condo suites are available in Tower C at The Signature Residences MGM Grand. The Signature MGM Residences Tower C real estate at MGM Grand Las Vegas is under construction and slated for completion in mid-2007. In a joint venture with Turnberry Associates, the three luxury Las Vegas condo towers will feature 576 studio, one- and two-bedroom furnished suites. The development is attracting buyers from across the country to the Las Vegas high rise condo hotel. The Signature MGM Grand Residences provides a turnkey lifestyle of convenience where you can live part-time or year round in Las Vegas. Many people are opting to use their Las Vegas luxury condo as a second or vacation home and plan to invite their family and friends. 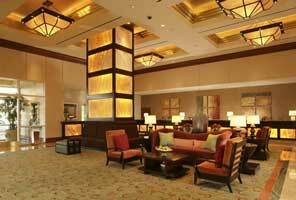 Today, less than 100 of the 1727 The Signature MGM Residences remain. Total Las Vegas luxury condos sales have surpassed more than $1.2 billion. The Signature MGM Grand Residences have 100 luxury suites remaining for purchase of MGM Grand Residences Las Vegas real estate Tower C. The Signature MGM Residences Las Vegas high rise at MGM Grand Hotel as the Las Vegas luxury condominium-hotel’s turnkey lifestyle is attracting many vacation and second luxury home buyers. Located on the northeast end of the Signature MGM Grand Las Vegas 116-acre property, the Las Vegas high-rise condominium development combines the exclusivity of Las Vegas luxury condominium living with the premier amenities of MGM Grand Hotel, creating one of the most sought-after residential lifestyle opportunities in Las Vegas. 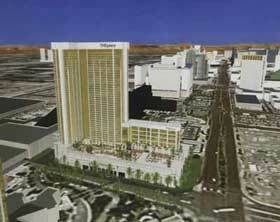 Mandalay Bay Casino proposes The Place Las Vegas condos is seen on Monday. Mandalay Bay the biggest gaming player believes demand will continue for luxury Las Vegas condominiums with a Las Vegas Boulevard address. MGM Mirage is seeking initial county approval this week for two Las Vegas high-rise condo real estate projects that would add some 2,500 condominiums to the south end of the Strip. The company has not formally announced either proposal, and a spokesman said their likely development dates remain undetermined. But documents filed with Clark County provide architectural renderings and details of both projects.